Who doesn’t love entering their hotel room and finding a delicious assortment of goodies waiting for them? 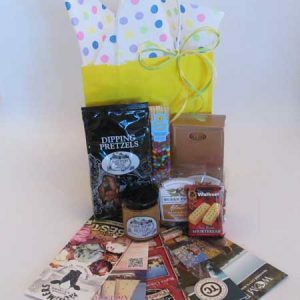 Let Bay Baskets put together goodie bags for your wedding, business meeting or for friends or relatives visiting this beautiful Traverse City area. 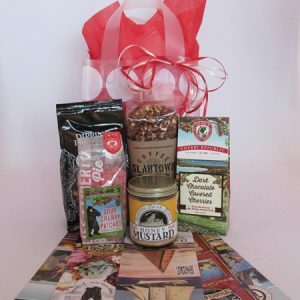 Bags can be made using local products or any products from our website. Fresh fruit can also be added.